On March 19, 1999, Carson, then 73, suffered a severe heart attack at his home in Malibu, California. Carson was sleeping when he suddenly awoke with severe chest pains. He was rushed to a hospital in nearby Santa Monica where he underwent quadruple-bypass surgery. 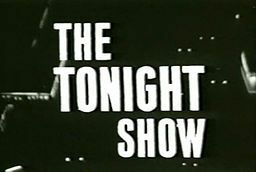 In his tribute episode after Carson's death, David Letterman revealed that because of the great success of the Tonight Show, every talk show host since then – himself included – is secretly emulating Carson during his Tonight Show days.